DSC03284, a photo by CAKE Amsterdam - Cakes by ZOBOT on Flickr. Happy 4th Birthday to Sophie! 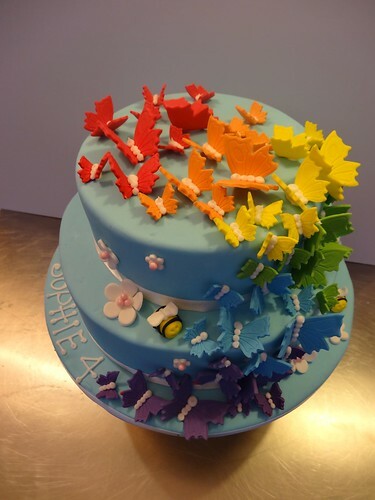 For her butterfly and bees party her mother ordered this lovely rainbow butterfly cake!